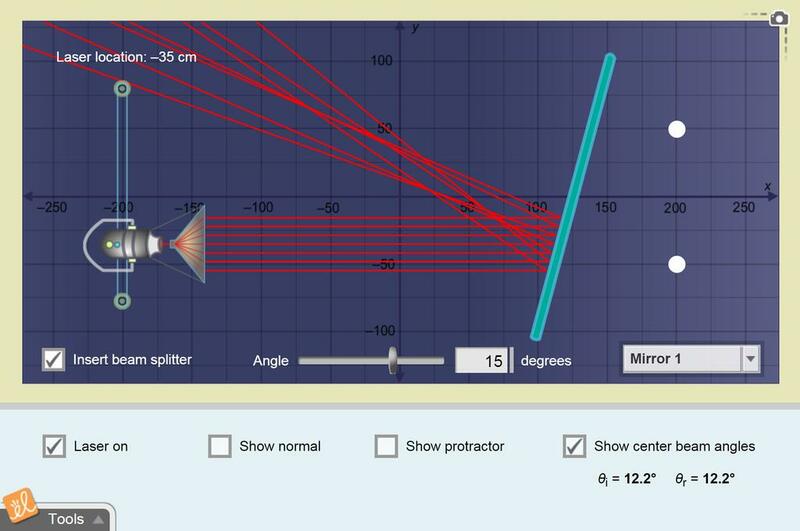 Point a laser at a mirror and compare the angle of the incoming beam to the angle of reflection. A protractor can be used to measure the angles of incidence and reflection, and the angle of the mirror can be adjusted. A beam splitter can be used to split the beam. Both plane and irregular mirrors can be used.